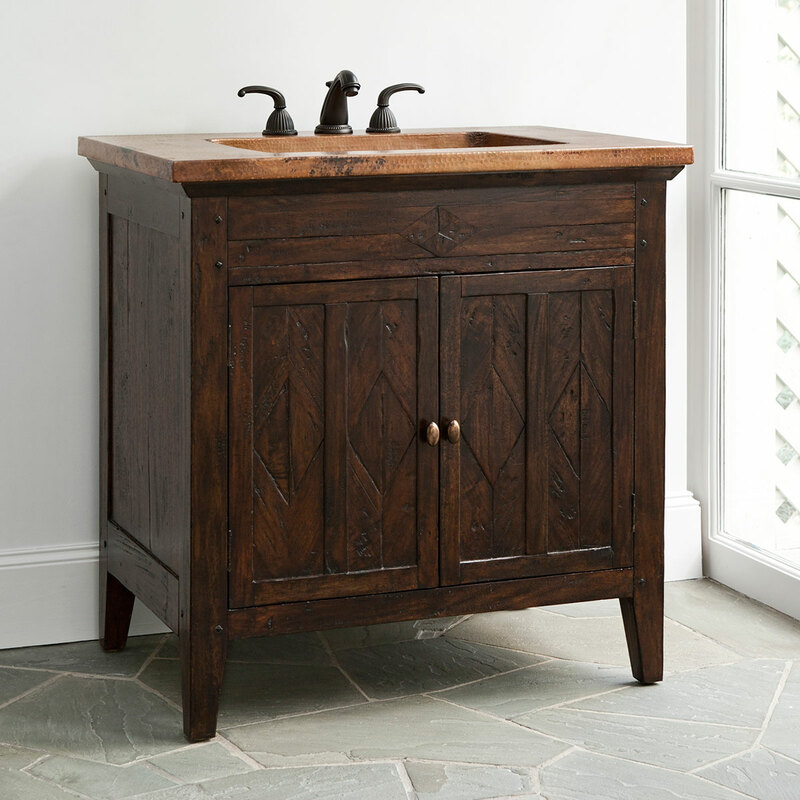 Give your bathroom a Tuscan-style feel with our 36" Cobre Bath Vanity. Its beautifully dark Mahogany finished cabinet features a double-door cabinet with gorgeous woodworking that is subtle, yet elegant. The door knobs finish off the cabinet with a bright appeel that matches the copper countertop. 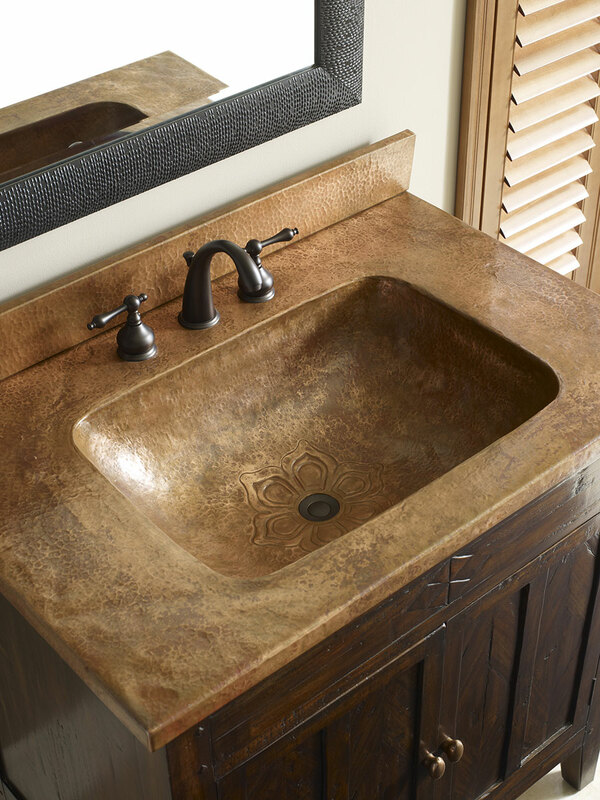 You'll love the floral print on the bottom of the sink, giving the Cobre vanity an all-around sunny look. Use with a non-overflow drain system.